Collecting: Is there any treasure still out there? I have been collecting video games and hunting deals for the last few years at car boots (flea market if your in America) and charity shops. For me it’s much more enjoyable to find a game out there in the wild than do the easier stay at home thing and get it off eBay. In fact I use eBay so infrequently now that I only tend to use it if I to order games I might want to cover for the site. What has become very clear to me from the past few years of collecting is there really is less and less probability of finding deals or hidden treasures. In this article I’m going to cover why that might be and what this means for the future of collecting. We’ve had quite a few articles about game collecting lately, most notably the process of how to find and get games from various locations with little to no issues. One thing that was not as highly discussed is knowing how much items are worth/cost, especially because games’ values vary depending on re-releases and upcoming releases. At the Midwest Gaming Classic 2015 I got to see first hand how that works and factors you may have never imagined can jack up the value of random items. For example, Legend of Zelda: Ocarina of Time on the 3DS was readily available when the game launched in 2011 at the retail price of $39.99. These days it’s worth quite a bit more at $50 for a loose cart and $65 complete – I’ll get to these price trends in a sec – due to the fact, according to many of the booth vendors I spoke to, that in January of this year the carts became extremely rare on store shelves and it spiked a bit more when the Zelda Wii U delay was announced. Looks like Nintendo decided to go more digital as the game can be easily purchased on the eShop for MSRP, but if you’re a tangible collector that game has outlived its apparent welcome. Also it appears that gamers have begun to want that game back in their collections because of the delay of the Wii U title so they have something to be all nostalgic about until that game finally arrives. These are things I neither knew about nor cared about, but they are important. A while back I wrote an article on knowing the difference between different games and what games fetch high value, well today I decided to get a little more specific and show you some of the coveted titles that fetch a large sum of money on retro consoles. Keep in mind this was written in April 2015 and a lot can happen with each passing day as of the writing of this article. Please keep in mind all prices are based on Price Charting, a US-based price guide that compares eBay, Amazon, and third party sites for what games actually sell for as opposed to what they are listed for. In a recent article, I gave my personal tips into how to get the most out of the car boot sale. However, if your hungry for more games finds there’s more than one place to hunt. In this article I’m going to go through the other places I have located gaming deals. This has always been a fascinating one to me. I know people that will literally avoid charity shops like the plague because they don’t want to be looking through other peoples junk. This is a real shame as you can genuinely find some amazing deals in charity shops (in America this will be like your Goodwills). In the UK the majority of charity shops are linked to charity like the British Hear Foundation, Oxfam, Cancer research etc. Charity shops take donations usually from the local community, Oxfam however, actually does send stuff to various stores through donation bins found at supermarkets. Most charity shops generally will have a dvd rack somewhere with a couple of games thrown in. Now it will really depend on the the staff at the specific store to whether the games are priced reasonably or not. 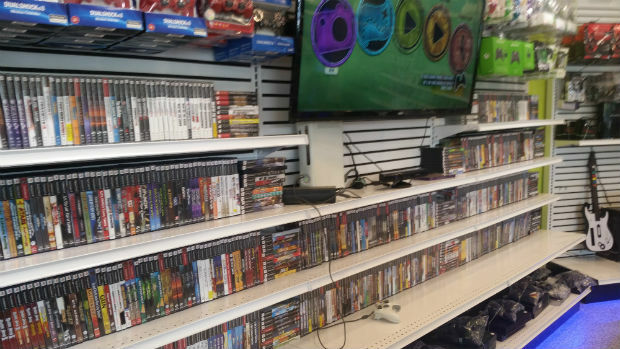 If there is a volunteer that is into gaming there is actually a possibility they will take the games for themselves and leave the stuff they don’t want for the shelves. This is of course is a pain but its something you just have to put up with. Some staff have no idea about pricing games usually they will sell them for the same value as DVDs or even CDs. 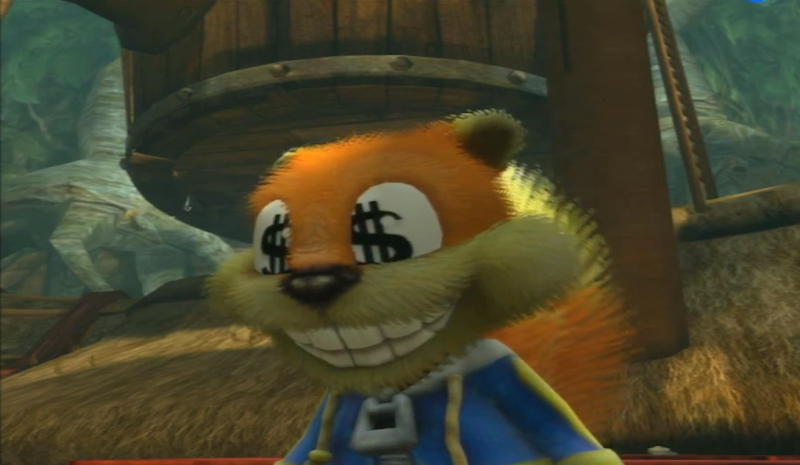 But then I have seen examples of staff over pricing video games because they think they are worth more than DVDs. What is quite sad in the UK is I have heard stories of charity shops receiving donations of loose consoles and carts but they consider these junk and throw them away. This doesn’t happen everywhere though, I have actually found loose N64 carts in an Oxfam store before but this is quite a rare occasion. Some advice here is if you feel brave enough you can actually say to the staff you are looking for old games and if they see any loose carts or consoles you will be whiling to take them off their hands. Most of the time the staff will feel uncomfortable with this and will give you nothing. But on that rare occasion someone might take note and even bring out some stuff they were intending on chucking possibly for free. But remember this is a charity shop so its only fair to give a donation if you get lucky here. It’s also only worth doing this with the stores that are close to where you live, unless of course you enjoy travelling far out to stores. It’s that time of year again where people from all over the country go through their lofts and garages and find various junk they don’t want any more. They then throw it in their car drive to a field somewhere and sell it members of the public. Yes people, car boot season (or flea market if your American) is here. I have been heading to car boots with my lady friend for the last couple of years looking for good deals on video games. As a collector of old video games the car boot is a great chance to possibly find a game for a reasonable price that would otherwise go for some ungodly amount on eBay. In this article I’m going to give my personal tips on how to make the most out of the car boot. Video games are similar to several other hobbies, like comic books, that have two different worlds: collectors and players. Players, like comic book readers, are more concerned with the content rather than the value or potential value as items become old and/or rare. Collectors, in any form, are always concerned with several aspects like condition, completeness and rarity. In the case of retro gaming, the two worlds collide quite often, especially because plenty of rare games are also known for their amazing content. Fortunately digital downloads and re-releases have assisted in making former high-cost classics like Final Fantasy VII and Phantasy Star IV cheap and easy to get your hands on. Personally I am not much of a collector, despite the fact that I do have a decent collection, because I’m more interested in the game itself. My copy of Snatcher is not worth what others fetch on eBay – it has a large rental sticker all over it that someone attempted to remove (and failed) not to mention it had several surface scratches before I resurfaced it – but the game plays in my Sega CD nonetheless and I enjoyed it as much as any other gamer. Other than the games I bought new, many of the expensive games I have acquired don’t have cases, instructions or even labels. Although rare, there are even a few games that were so badly beaten they wouldn’t play but I was able to resurface or create backups because there was no copy protection on the console (I do not perform permanent hardware mods or install mod chips). I am a player and I’m not shelling out $150 for Snatcher. I want the largest amount of quality games I can get and my budget is limited, therefore I get what I can. No matter how rough a game is (assuming it’s playable) or what format you get it in, there are always going to be minimum and maximum points at which to purchase games. It’s just not reasonable that you will ever find a copy of Snatcher for $20. When you’re out and about, it’s important not to get taken advantage of because like all collectible items, video games can suffer heavy mark-ups from those cashing in on the misinformed. Your best bet is to get a price guide, especially when you want to check if that copy of Final Fight Guy on SNES really is appropriately priced at $30. It’s also fun to look back at the classics and discover what games from the past became gems of the present. In addition you may discover that you own some of the top dollar products out there and cash in if times are tough. These higher value titles are also good trade value – I recently traded my second 32x console, which I thought was broken but just had the wrong AC adaptor, for most of the cost of a Turbografx-16 at a brick & mortar shop near me. It’s like the stock market, you want to consistently keep up with the trends so as to make the most out of your dollar.